Round up all the stray dogies on your guest list when you send out personalized Bucking Bronco Rodeo Postcards in advance. 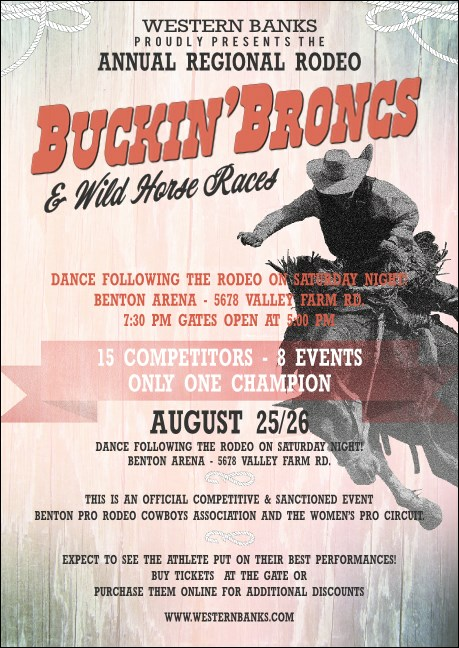 With nineteen lines of text on the template for all your rodeo event details, and a fun, yet rugged, Western background that shows a rider hanging on to his wild bronc, these Postcards will spur your guests in the right direction. Find the right chaps for your ride at TicketPrinting.com.